Sure, we can all find books in our local libraries, but does your library let you check out a camera? Maybe a printer? 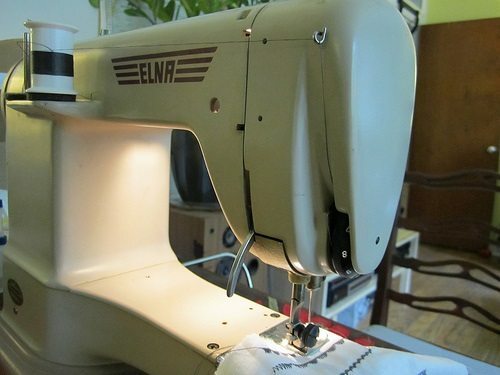 Or how about a sewing machine? If you live around Sacramento, California, you may be in luck. The Sacramento Public Library is launching a program called “Library of Things” to expand its collection beyond just books, films, and music to provide other resources community members might need, from tools to technology. The question of what exactly will be available for lending and borrowing will depend on what the community suggests. Community members have been able submit their ideas through the library’s website and will be able to continue to do so through next week. Once ideas have been submitted, they will appear as comments on the page. The most popular objects will be purchased. (Within reason, of course; the library has allotted a budget of $3,900.) So far, the two most popular ideas, tied at 150 votes each, have been a sewing machine and video games—clearly, a variety of demographics are being served here. In response, the library has already bought six sewing machines and expects to begin circulating them by mid-February. Other suggestions also include practical items like laptops, phone chargers, and instructional aids for schools (such as calculators). And then there’s the suggestion for a drone. I guess you never know when it could come in handy. However, jokes aside, the project might encourage individuals to invest their time in something they may not have had previous access to, taking up photography with a borrowed camera or sewing on a rented machine. The community the library is so diligently serving is the same community that forked over $12 extra dollars per household last year to ensure it could continue functioning properly. Like many other local libraries, funding and contributions are needed to ensure they can continue to provide necessary services. For this project, some of the funding is coming through a federal grant, while another $2 million in funding has also given the project financial stability, according to the library’s director, Rivkah Sass.